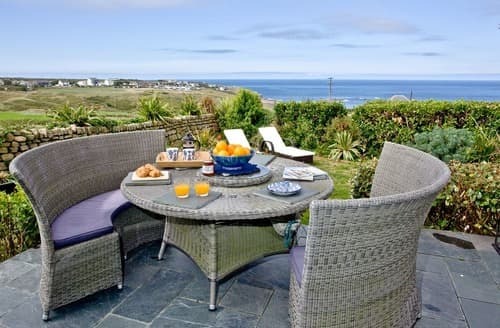 Featuring the stunning Sennen Cove, the Cornish town of Sennen offers everything you might want in a seaside holiday. 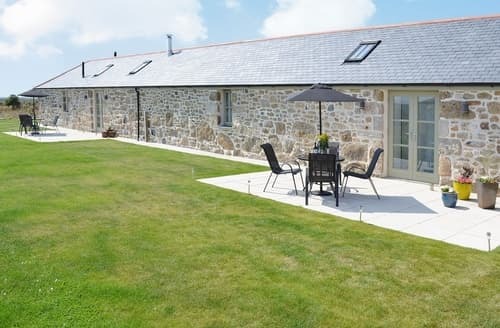 Whether you want to walk the land or surf the waters, enjoy your time from the comfort of your own holiday cottage. 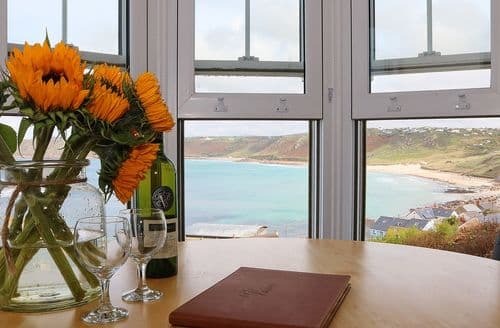 Known for its clear waters, Sennen Cove is ideal for surfing year round. Local schools offer lessons if you want to brush up your skills! If fishing is how you prefer to explore the sea, make sure to take a trip from the harbour. The local wildlife is vibrant, with great bird watching opportunities. 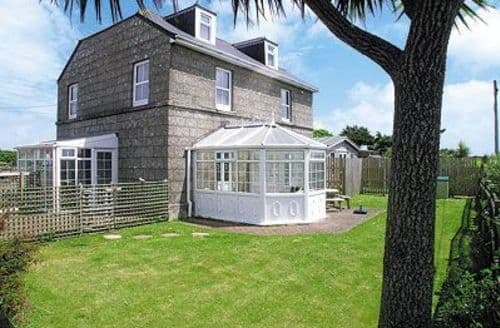 Art galleries showcase the local talent, and the Tate St Ives is also closeby. Spend your evenings relaxing in one of the many pubs and restaurants after a busy day. 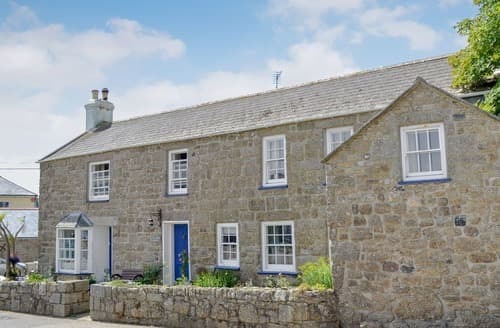 What our customers are saying about our Holiday Cottages In Sennen To Rent. "I needed to find some where quiet where I could rest my mind but it needed to be near the sea. 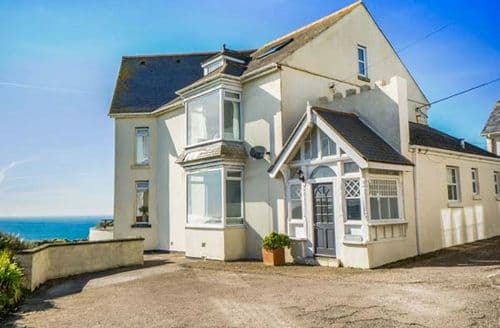 I found S86398 on the web site, the price for a 7 night stay was very reasonable, plus it was next to the sea. The pictures on the site were pretty good so I booked it. One thing the directions could have used a little improvement as it was really hard to find the flat. In the end I was lucky enough to come across a couple of locals who showed m where it was. 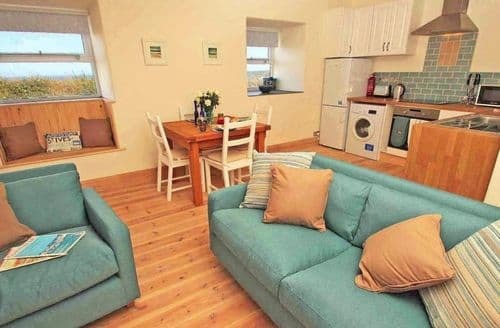 Loved the flat, had everything I needed, except a washing/drying machine. But then this was not listed on the site so no complaints, I hand washed the clothes I needed to. I would also say that the site needs to make it very clear that the stairs are quite a climb and this is definitely not for the non able bodied in my opinion. 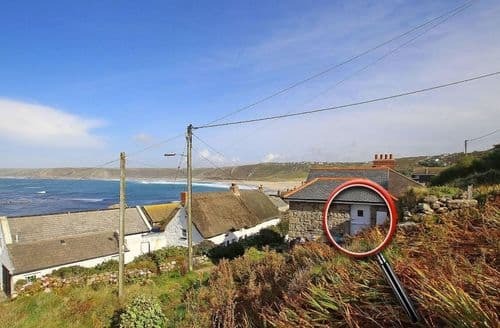 Sennen cove itself is a beautiful place but it does shut down in the winter months, only the Pub is open, the local shop is not. So you have to nip across the Sennen to the CostCutter shop which is open 7 days a week, 8am-8pm. It is only a 10 minute walk once you find the local path to it! The walks are amazing along the cliff tops in both directions, the cove beach itself is stunning. The weather can be a little strong there to as it is on the Western Coast, the wind can be immensely strong, and it can get cld in the winter months. Although in Summer I can imagine it being rammed with beach goers. I went for peace and quiet and that is exactly what I got! One final recommendation is to gram some supplies before you arrive, bead, butter, perhaps some microwave meals. It has cooking facilities, including a combination grill/microwave. There is a TV but the channels are limited, for me this was not an issue as I was not there to sit in and watch the telly! All in all for me it was perfect and I will definitely go there again when I need a break. But if you are looking for a lively vacation, then bear in mind this is a quiet costal village. 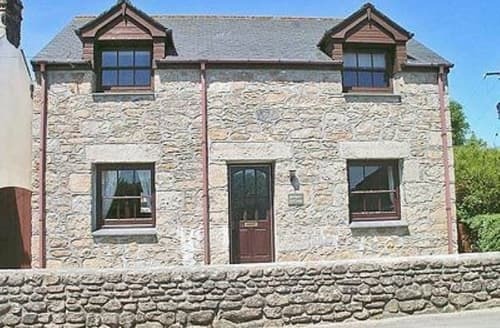 Jules"
"I found S86398 on the web site, the price for a 7 night stay was very reasonable, plus it was next to the sea. The pictures on the site were pretty good so I booked it. One thing the directions could have used a little improvement as it was really hard to find the flat. In the end I was lucky enough to come across a couple of locals who showed m where it was. Loved the flat, had everything I needed, except a washing/drying machine. But then this was not listed on the site so no complaints, I hand washed the clothes I needed to. I would also say that the site needs to make it very clear that the stairs are quite a climb and this is definitely not for the non able bodied in my opinion. Sennen cove itself is a beautiful place but it does shut down in the winter months, only the Pub is open, the local shop is not. So you have to nip across the Sennen to the CostCutter shop which is open 7 days a week, 8am-8pm. It is only a 10 minute walk once you find the local path to it! The walks are amazing along the cliff tops in both directions, the cove beach itself is stunning. 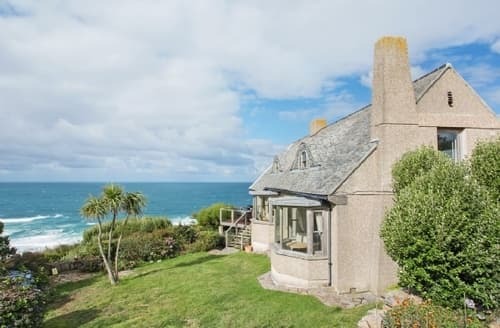 The weather can be a little strong there to as it is on the Western Coast, the wind can be immensely strong, and it can get cld in the winter months. Although in Summer I can imagine it being rammed with beach goers. I went for peace and quiet and that is exactly what I got! One final recommendation is to gram some supplies before you arrive, bead, butter, perhaps some microwave meals. It has cooking facilities, including a combination grill/microwave. There is a TV but the channels are limited, for me this was not an issue as I was not there to sit in and watch the telly! All in all for me it was perfect and I will definitely go there again when I need a break. 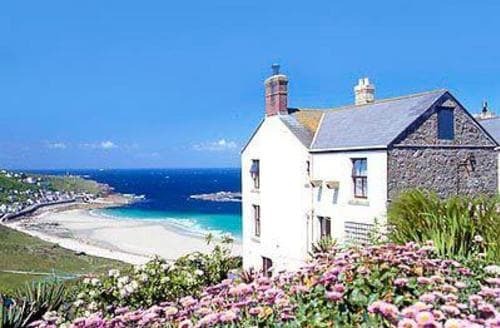 But if you are looking for a lively vacation, then bear in mind this is a quiet costal village. Jules"
"Initially we thought this was damp after reading the comments book but as the weather was warm and dry, this was discounted. We believe that the smell was a result of over use of the cleaning chemicals/materials. This was apparent when we tried to use the teapot which resulted in a bad tasting, and bad smelling cup of tea as the same cleaner had been used to clean the teapot. Once cleaned it was ok. The bathroom could have been cleaner. There was mould around the bath taps, the bottom of the shower screen and around the window. The only ventilation available was to open the window, not the best idea as the neighbour would be able to look directly into the room when you use the shower. There was no extractor only a wall heater. 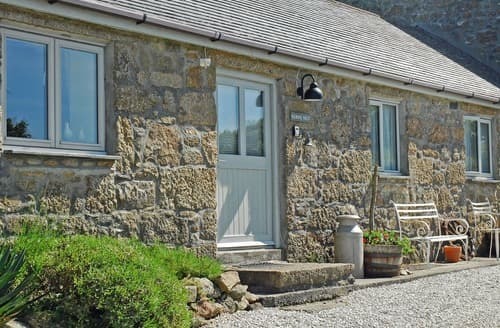 The booklet for the cottage stated that the heating should remain switched on at all times. However the heater in the lounge although switched on, did not work. The lights were on but no heat came from the heater. 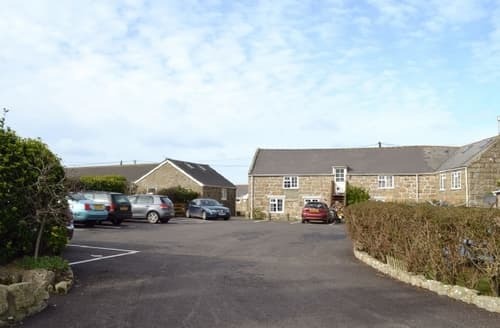 ***Owner Response*** “Thank you for the feedback - this is very much appreciated this enables us to understand the things which might need a little ‘love and care’ in the property, as inevitably things do overtime with use. We plan to •	repair / replace the radiator in the lounge at the earliest opportunity •	Fit an extractor fan in the bathroom - this has not been pointed out as an issue previously, however I can recognise that if the bathroom door is left closed all the time this could be an issue We were in the property about 4 weeks before your stay and were really pleased with the condition and the cleanliness of the place. We are sorry that in the intervening period a small amount of discolouration has appeared in the bathroom and this is certainly something that will be the focus for cleaning in the future”. David"
"As you drive along the lane approaching the house you can see that the position is second to none. Once inside a few steps take you to the main living area and the view hits you. It is all encompassing and truly amazing. The room is massive, light with plenty of comfy couches. The kitchen initially looks small but it has everything you could need and more. A large fridge freezer, an extra fridge, dishwasher and a very large range cooker. The drawers were carefully laid out with utensils and numerous gadgets and the cupboards full of china (including a set of Portmerion) all spotlessly clean. 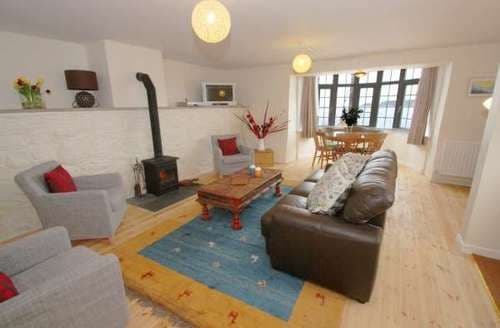 The dining room is quite open plan with a TV and a nice window seating area and a working fire place. 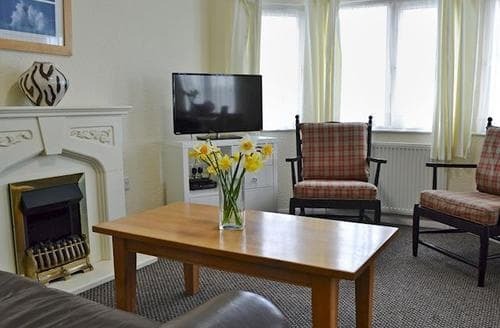 The well equipped games room has a large TV and 2 large couches. 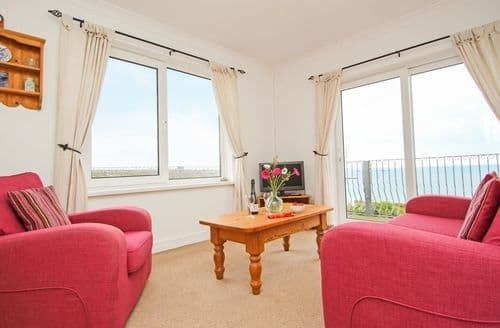 There are 3 main bedrooms with seats in the picture windows and views straight out over the sea. 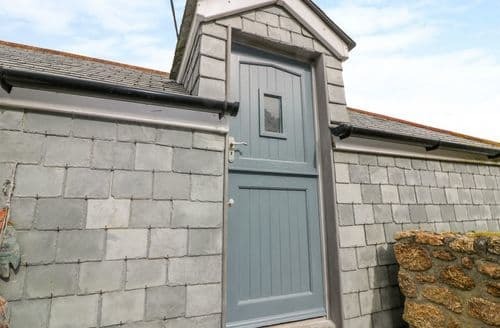 One of these has a small ensuite shower, one a massive state of the art shower room and the other a full bathroom close by. There is a downstairs twin bedroom with a shower room along the corridor accessed through a laundry room housing a washer and drier. 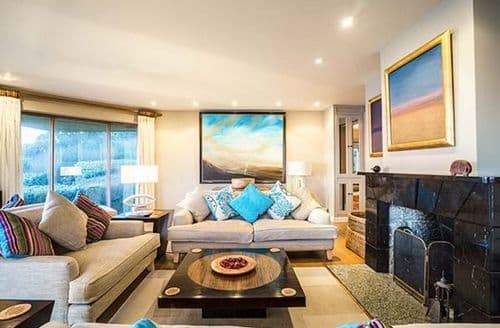 Off of the staircase is a good size room with bunk beds and through an adjacent door a narrow staircase leading to 2 attic rooms, one with a small ensuite shower. All rooms have independent heaters which were really efficient. The WiFi is OK downstairs and some mobile phone users would have to walk about about a bit on the terrace to get a good signal. The caretaker is on hand most of the time as well as in phone contact for emergencies. He is very helpful and pleasant. Nothing appears to be too much trouble. Thank you for the welcoming basket with a bottle of wine, savoury biscuits and tea bags as well as milk in the fridge. A perfect start to a wonderful stay." 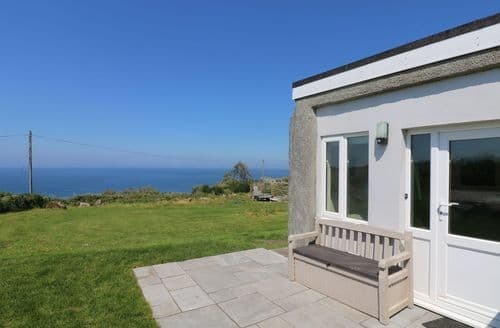 "S72084 is in an absolutely stunning location overlooking the nearby Gwenver Beach giving fantastic views from inside from every window in the morning and the evening when the sun is setting. 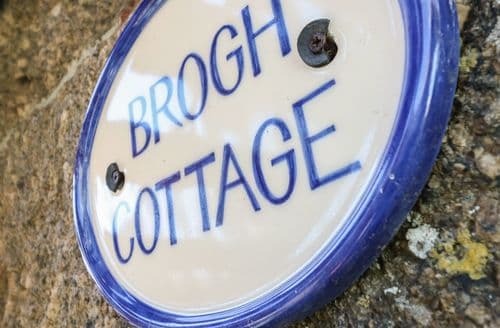 The cottage is well equipped with everything you could possibly need, its clean and cosy and well maintained. 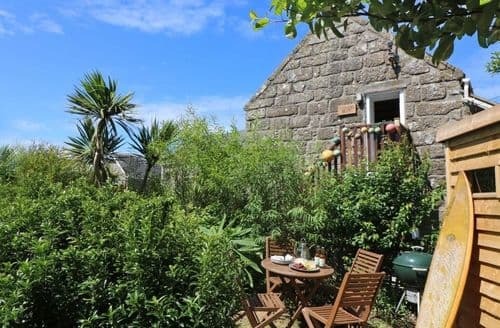 The garden is of a good size, eating area and a swing for the children and again the views are absolutely brilliant. Our children loved using the beach equipment that was available, mainly the bodyboards. We visited some fantastic places and most within good reach. Sennon Cove, Penzance, St Michael's Mount, St Ives where we took a cruise to Seal Island, Cape Cornwall, Porthleven, lizard point and Lands End (5mins drive) and the Minack Theatre which was a personal highlight of mine and most afternoons where spent on Gwenver Beach which is a 10 minute walk down a public footpath just down the road from S72084. Most evenings where spent watching the sunset a long the front of Sennon cove in the Old Success Inn or wandering around Lands End. I can't say anything bad about S72084, the owners are friendly and its a fantastic place to stay. 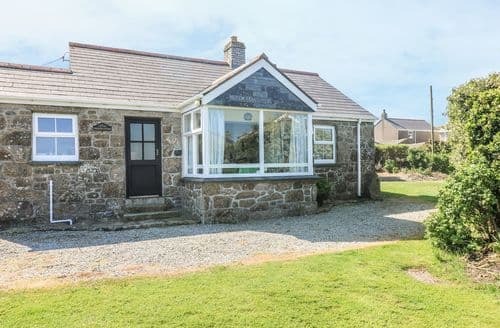 Location brilliant, Sennon is picturesque and the dog friendly Gwenver Beach and the adjoining Sennon beach ( in low tide) is just wonderful. S72084 ticked every box for us and hopefully we will return one day. We loved it, the children loved it and i'm guessing the pup loved it....Thanks for a fantastic week !!"